The relationship between coffee and health. A cup of coffee, which one relishes is a long journey of coffee extraction to brewing. It has been scientifically proven that this wonder drink contributes to health & wellness in winter. It promotes good health and its consumption makes the skin supple. Different extraction temperatures can influence the taste of coffee. Ever since its popularity in the 15th century, coffee was recognized as the popular beverage in the Middle East. Gradually, coffee houses of Europe recognized this wonder drink due to its rich taste and process of preparation. The phenomenal art of coffee extraction matters a lot in making your beverage exotic and refreshing. No doubt, when it comes to wake up and charge your brain, the bitter, black and burnt liquid in the form of coffee is the best drink to rely on. In fact, this drink offers supple skin in winter, which in turn is amazing factor in balancing health & wellness. Sipping coffee in your favorite mug relishing the aromatic flavor is a result of proper extraction of the coffee and beating the beans amazingly. The best part coffee-drinkers should be aware that their wonder drink contributes to long-life as proved in scientific studies. Coffee drinkers are likely to live longer than non-coffee drinkers due to the magical impact of this beverage. In terms of coffee extraction, it can be stated that soluble flavors should be dissolved from coffee grounds in water cautiously. 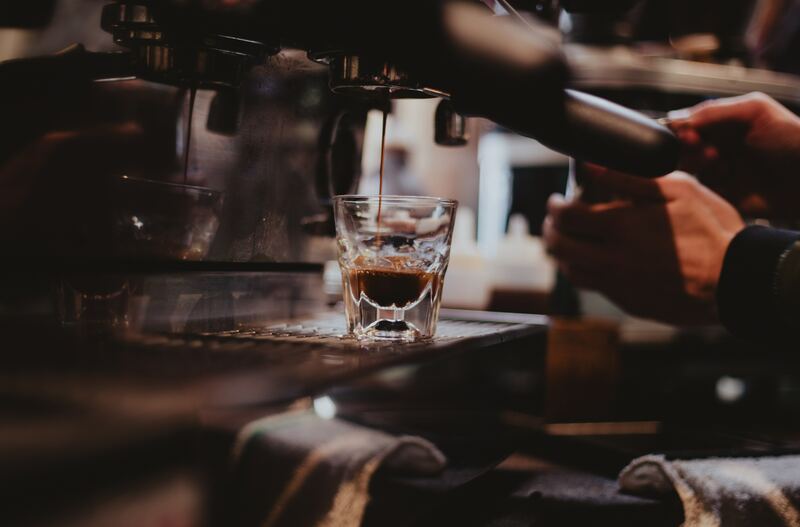 Be it a brewery or home, several coffee extraction processes are now being recognized in the modern times, yet, the art of extracting coffee should be known in advance. It is this art which will ensure that the essence of coffee along with aroma gets retained further keeping the health & wellness constituents intact. The correct quantity of coffee, proper brewing temperature and exact time of heating are the major points to be focused on to get the best flavor of dark roast post coffee extraction. Every individual has varied preferences in terms of taste of coffee. One can like bitter, strong and rich while others might prefer mild or decaf. Since this is winter time, what type of coffee are you brewing is the initial yet a major aspect to reflect over! As a part of coffee extraction, roasted and ground coffee can be obtained in the best possible way if the methodology is correct. Brewing the coffee demands caution as you may not quench your taste buds if proportionate levels are not considered. All you need to remember is that coffee extraction temperature and heat will influence the brewing process of the beverage. Moreover, in the case of health & wellness, if you want to experience the best results, then, coffee extraction and brewing must be rightly carried out without fail. You should always stay informed about the type of beans, flavors and brewing procedure of coffee brewing to get a cup of coffee according to your preference. Undoubtedly, there are grinders available in the market, which will help you in getting the finely ground coffee. Coffee houses use various grinders depending on the grinding approach used by them. Basically, they are equipped with improved grinders, brewing machines and adopt coffee extraction process in a subtle manner to deliver the best cup of coffee. You might have wondered how coffee houses like Barista, Starbucks do or Costa Coffee offers rich aromatic coffee! Well, the reason is the usage of improved brewing machines, coffee grinders and particularly focusing on health & wellness parameters while serving their guests. If you want to get that savory cup of coffee at home, start with buying improved coffee grinders as well as brewing machines and learn the art of blending various beans to attain desired flavor. Stay connected with us at: https://thriveglobal.com/ to know more about coffee and its wonders.